JADE RUDD was born in Oregon but has called the treasure valley home for over 25 years. 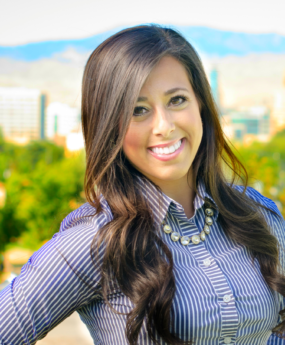 She graduated from Boise State University with a bachelors degree in Business with a minor in Marketing and has her Real Estate License. Jade truly enjoys helping people in any way she can, at work she does that by using her creative touch to market your listing! Outside of work, she loves spending time with her husband, son and their two dogs – on the weekends you can usually find them in McCall enjoying one of the many reasons why they love this beautiful state!